Listen carefully, If you own a Galaxy S6 then you can install Android 8.0 Oreo on Galaxy S6 with LineageOS 15 Custom rom. Android 8.0 oreo is the in the beat phase now and we don’t know that whether S6 would receive it or not. So, why bother waiting when you can get LineageOS 15 Android 8.0 on Galaxy S6 G920F. Its an unofficial version based on 8.0 Oreo for Galaxy S6. You can install it on your phone via a custom recovery. As this Lineage OS 15 8.0 is in early stages, it is not completely stable. However, you can still install it on your phone, if it does not perform well then you can always restore from backup to stock rom. Many android geeks, would love to give it a try. So, lets start. Nightly LineageOS 15 (8.0) is an oreo based unofficial rom that can be installed on Galaxy S6 G920F. 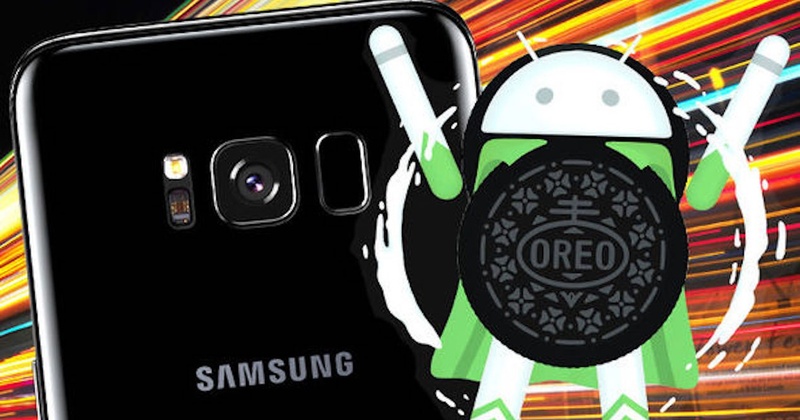 We don’t yet will Galaxy S6 receive Android Oreo or not. Also you must ahve heard of CyanogenMod Rom, this Lineage OS 15 is developed by the same team. You can say that it is updated version of CM rom. One of the perks of having an Android phone is you can install Mods, Custom Roms and tweaks to an extent that your phone won’t get any older. Either if you have a Galaxy S1, you can still update it to the latest android version via a custom rom. To install LineageOS 15 8.0 Rom on Galaxy S6, you can follow the instructions below. This method is only valid for Galaxy S6 G920F model. Do not try this on any other phone. Also keep notice that installing a custom rom is a third party unofficial process. Your warranty will be void. And if anything wrong happens with your phone then we will not be responsible. Try it at your own risk. Make a full backup using a custom recovery. If don’t have custom recovery then manually backup files, contacts, and media. Confirm mode of phone by going to Settings>>AboutPhone>>Model No. Make sure it is G920F. So, finally after all the above preparations, you can start the real process. Just follow the below process step by step. Download the Lineage OS 15 custom rom and Google apps from above links. You may directly download on your phone or PC and then move it to your phone storage. Boot into recovery mode by pressing and holding, Home+Power+Volume Up buttons. Now you are into recovery mode. Now, after wiping all the cahces, go back to main recovert menu. Select Install, navigate to the LineageOS 15 rom.zip file. Select it and install the file. After the rom is installed, navigate to other Gapps.zip file. Select and install this file. Go back select the Reboot option to restart your phone. So, everything is done. The newly Android 8.0 Oreo for Galaxy S6 is installed via Lineage OS 15. Now your phone will reboot. The first boot up will take some time so, have patience. If your device is taking too long to boot up and is stuck at boot logo. Then you can follow these instructions to solve the problem. And that is it. Hope you understand everything well. Ask anything in the comments below. Like it and share it and subcribe for more custom rom tutorials for your phone. Bye, Take Care.